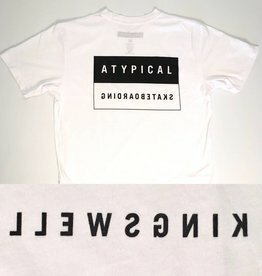 Kingswell's Atypical Skateboarding tee in stark white . Premium tee. Reverse "Kingswell" on left breast. Atypical logo on back.